Built entirely of iron, our industrial-inspired storage cabinet stands ready to corral all manner of children’s treasures, from classic books and toys to contemporary electronics. We offer Industrial Cabinet with precise dimensions in India and Abroad. 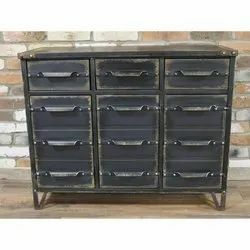 Our Industrial Cabinet is perfect for those who wish to give modern yet conventional look to the décor. 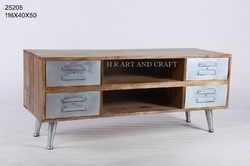 The Industrial Cabinet we have perfectly carved sections for storing different items. The Industrial Cabinet is available at reasonable prices. Manufactured from heavy gauge steel, painted finish with transparent plastic drawers, allows contents to be viewed when the drawer is closed. The lip on the rear of the drawer allows it to be opened fully without falling out. The cabinets can be stacked or mounted to the wall to maximise use of storage space.